Funded by the Ministry of Culture and Tourism and curiously awaited Ankara International Film Festival met the audiences again with a program full of surprises between 19-29 April 2018. Festival included the national feature, short and documentary film competitions and screenings as well as the following sections from the world cinema last year: Non-stop Flight to Australia, In Memoriam, Berlin Express, From the World Festivals, Forever Young, Humour from Europe, Subject Cinema, Retrospective: Kenji Mizoguchi, Distant Corners, For Kids. In this section we commemorates Münir Özkul with A Ay!, Jeanne Moreau with Jules and Jim, as well as George Romero with Night of the Living Dead, Ingmar Bergman with The Seventh Seal. This year, Ankara International Film Festival brings a selection from the Berlin Film Festival in “Berlin Express” section. Wolfgang Fischer‘s Styx, Philipp Jedicke’s Shut Up and Play the Piano meets the audience. 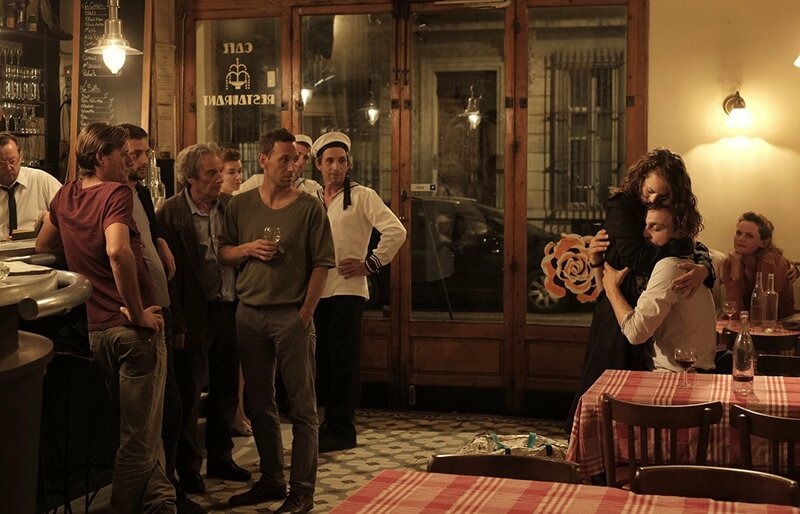 Other films of the selection includes, Christian Petzold – Transit, Robert Schwentke- The Captain. In this section, films from Australia meets with the audiences; Warwick Thornton’s Sweet Country, Peter Weil’s Picnic at Hanging Rock, Priscilla Cameron’s The Butterfly Tree and Trevor Graham’s Monsieur Mayonnaise. “A Retrospective” section includes films from the 1898 born Japanese director Kenji Mizoguchi. The list includes, A Geisha, The Crucified Lovers, Sansho the Baliff, Street of Shame. In this section, comedy films from Europe as: Hafsteinn Gunnar Sigurosson’s Under the Tree, İlker Çatak’s Once Upon a Time… Indianerland, Peter Luisi’s Streaker, Daan Bakker’s Quality Time, Caye Casas and Albert Pinto’s Killing God and Thomas Stuber’s In the Aisles. The festival commemorates the 68th in its 50th year with a choice of five films: Jean-Luc Godard – La Chinoise, Margarethe von Trotta- Marianne & Juliane, Louis Malle – May Fools, Dennis Hopper – Easy Rider, Michael Wadleigh– Woodstock. Just like the previous years, the festival welcomes films screened at world festivals at Ankara. Some of the films to be screened within the context of the “From the World Festivals” section are, Bojan Vuletic – Requiem for Mrs. J, Jan Svankmajer- Insect, Desiree Akhavan – The Miseducation of Cameron Post, Matan Yair- Scaffolding, Rainer Sarnet – November, Hlynur Palmason – Winter Brothers, Jonas Trueba – The Romantic Exiles, Valeska Grisebach – Western. In this section, there are films from Brazil, Chile and Argentina: Los Perros of Marcela Said, Niles Atallah’s The King, Araby from Affonso Uchoa and Joao Dumans, Gabriel and the Mountain of Fellipe Barbosa. This section focuses on films about cinema as: The Legend of the Ugly King of Hüseyin Tabak, My Journey Through French Cinema of Bertrand Tavernier, Emily Atef’s 3 Days in Quiberon.